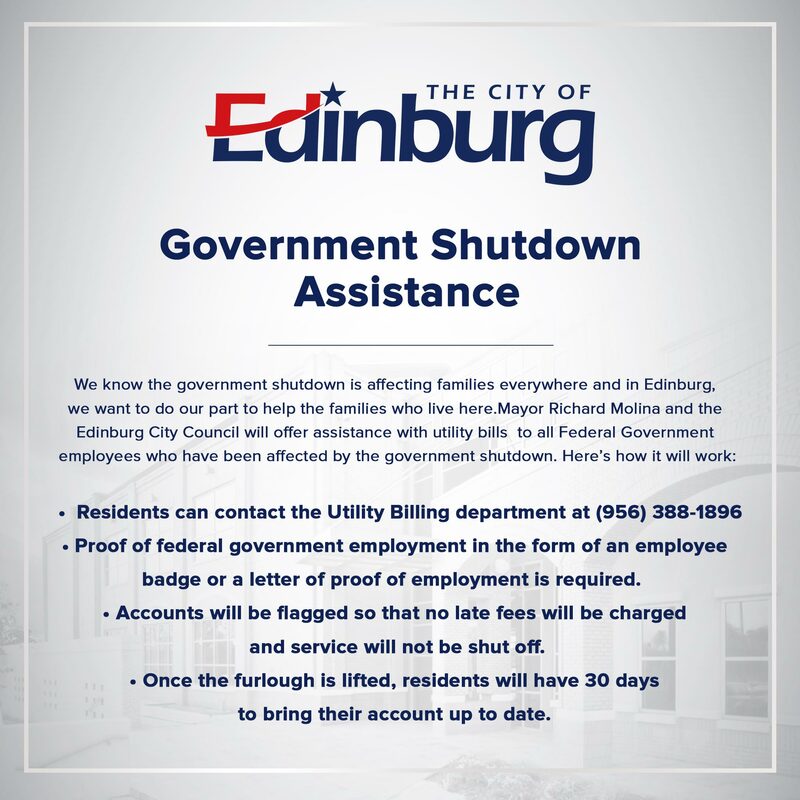 EDINBURG, TEXAS (Jan. 17, 2019) – The City of Edinburg is assisting residents who are on furlough due to the government shut down with their utility bill. Residents affected by the shutdown are encouraged to contact the Utility Billing Department at 956-388-1896 for assistance. Residents will be asked to provide proof of federal employment, such as, a copy of and employee badge or letter of proof of employment. A deferred payment will be applied to the account with no late fees or shut off. Once furlough is lifted, residents will have 30 days to bring their account up to date.